Two books about Japanese-American girls in internment camps during World War II have won the 2007 Jane Addams Children's Book Awards. 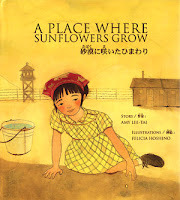 A Place Where Sunflowers Grow by Amy-Lee Tai (Children's Book Press), illustrated by Felicia Hoshino, won in the Books for Younger Children category. Weedflower by Cynthia Kadohata (Atheneum / Simon & Schuster), won in the Books for Older Children category. Crossing Bok Chitto: A Choctaw Tale of Friendship and Freedom by Tim Tingle (Cinco Puntos Press), illustrated by Jeanne Rorex Bridges, tells the story of the Choctaw people who live on one side of the river Bok Chitto and the plantation owners and African American slaves who live on the other. 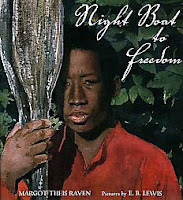 Night Boat To Freedom by Margot Theis Raven (Melanie Kroupa Books / FS&G), illustrated by E. B. Lewis, tells of an enslaved boy who repeatedly risks his life to row others across the river to Ohio. Freedom Walkers: The Story of the Montgomery Bus Boycott by Russell Freedman (Holiday House) and Counting on Grace by Elizabeth Winthrop (Wendy Lamb Books / Random House), a novel about a French-Canadian girl who has to leave school to work in the mills of Vermont in the early 1900s.